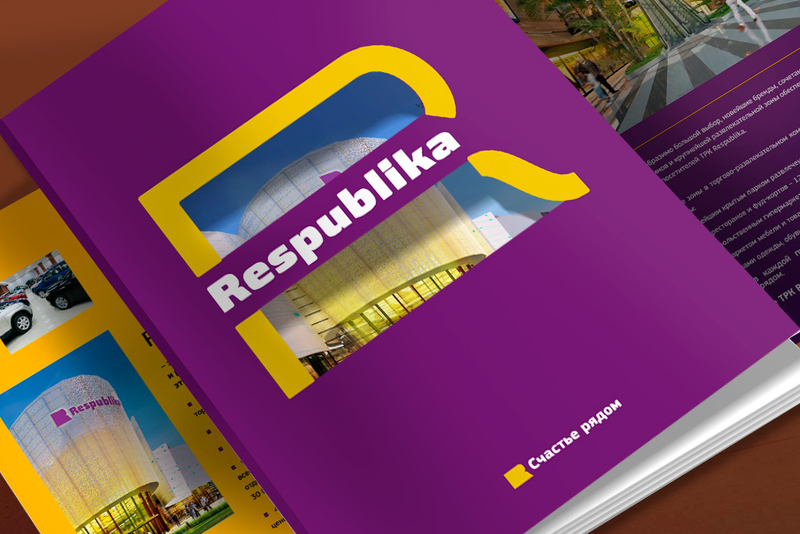 Shopping and entertainment complex Respublika – ambitious project of the company K.A.N. Development. 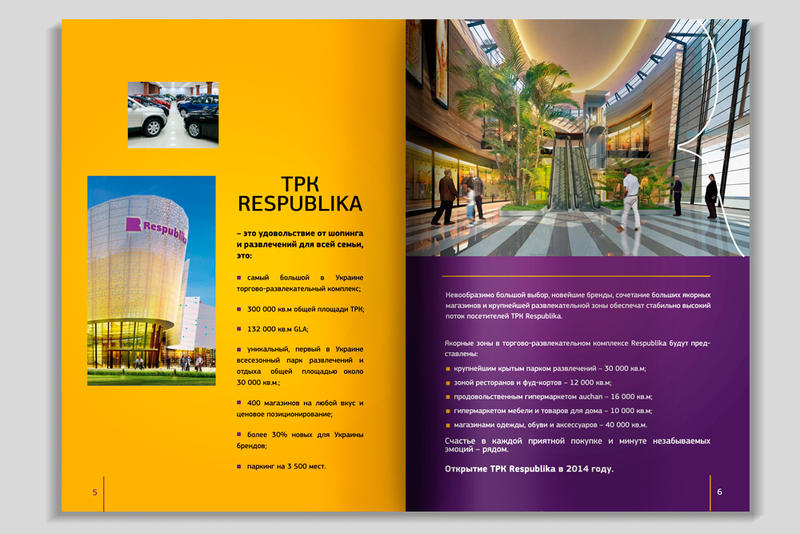 The company decided to create the largest indoor entertainment park in Ukraine. For the complex, the concept of the image catalog was developed. 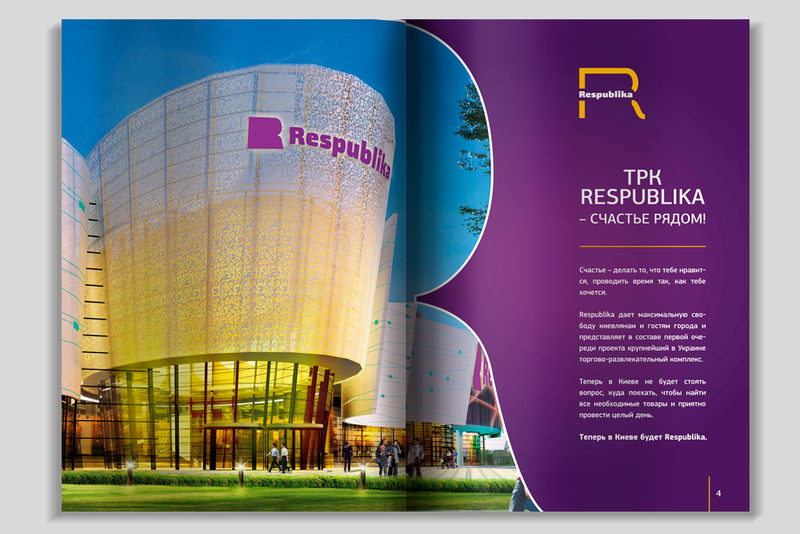 The complexity of the task consisted in finding a non-standard solution for the design of the booklet, taking into account the strict requirements set by the Guide Book.